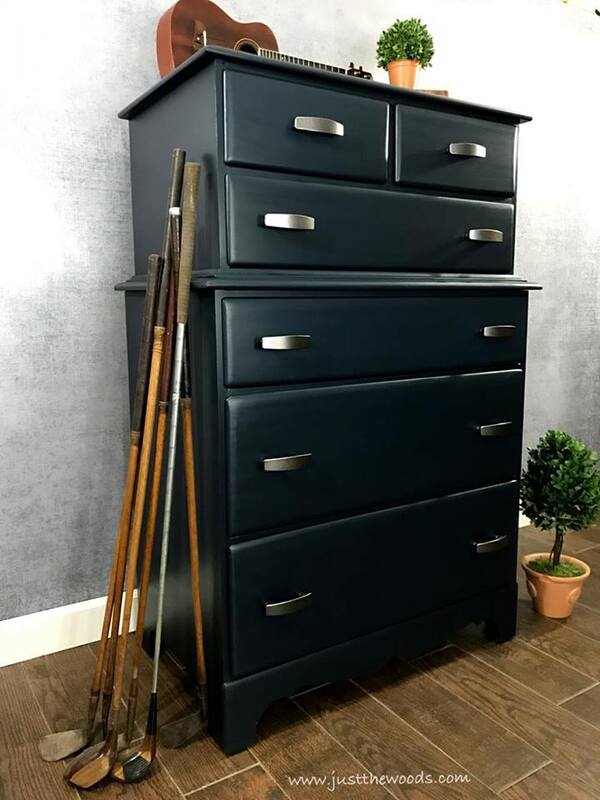 Wow you all linked up so many amazing ideas, projects, decor and recipes to last week's party that you made it incredibly hard for me to decide which to highlight. So here are a few that caught my eye. Kicking off this week's line up is a post from the blog Orphans with Makeup. 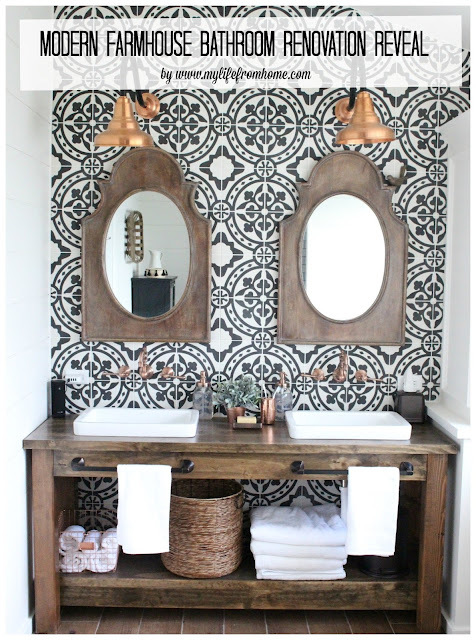 Mary gave this pretty desk, which incredibly was built from MDF board, a Tuscan Modern Farmhouse vibe. 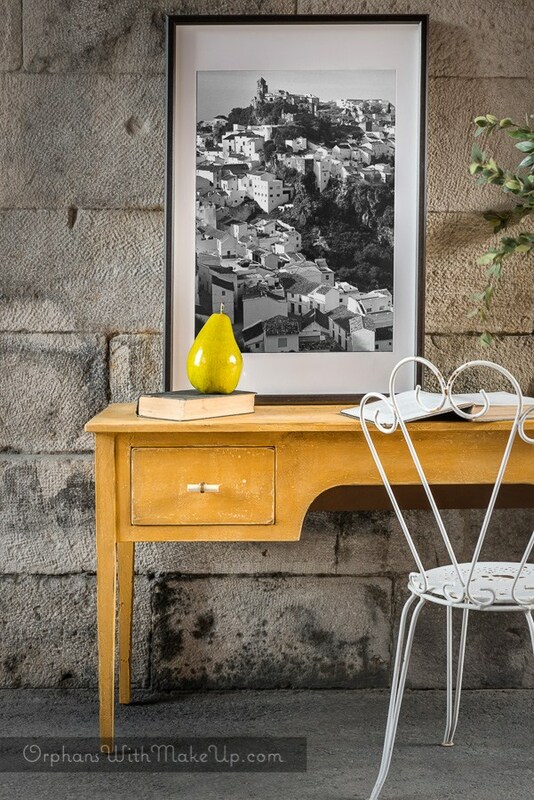 I just love that yellow!!! 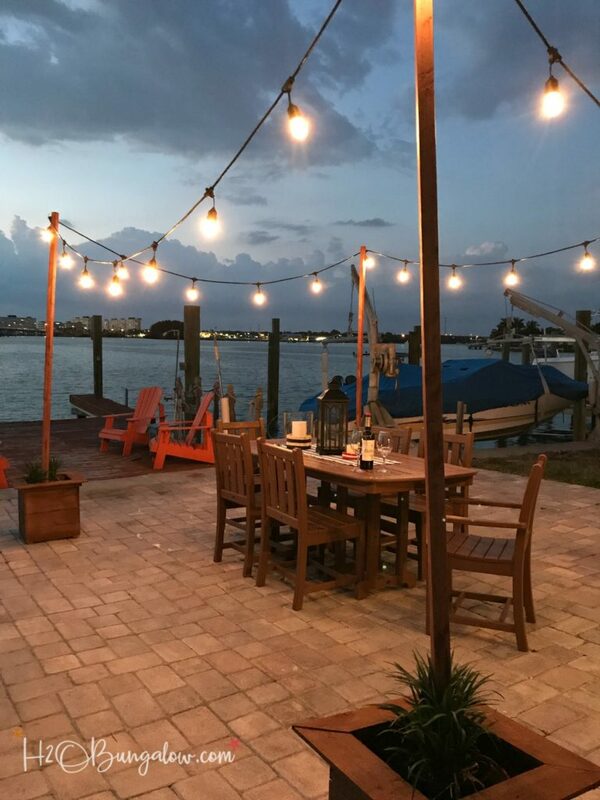 Wendi over at H20 Bungalow shared a great tutorial on how to make your own outdoor string light poles. 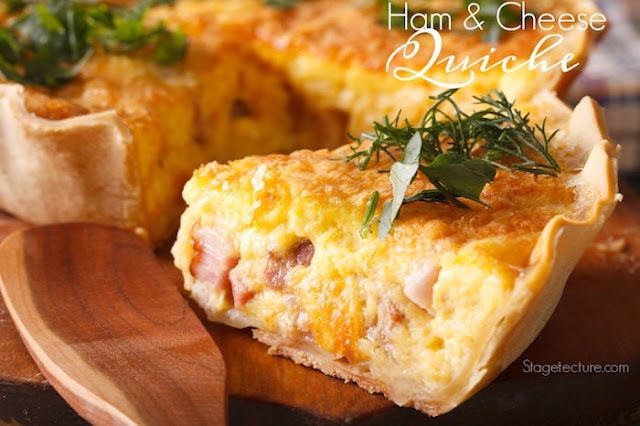 Perfect for those summer evening gatherings. 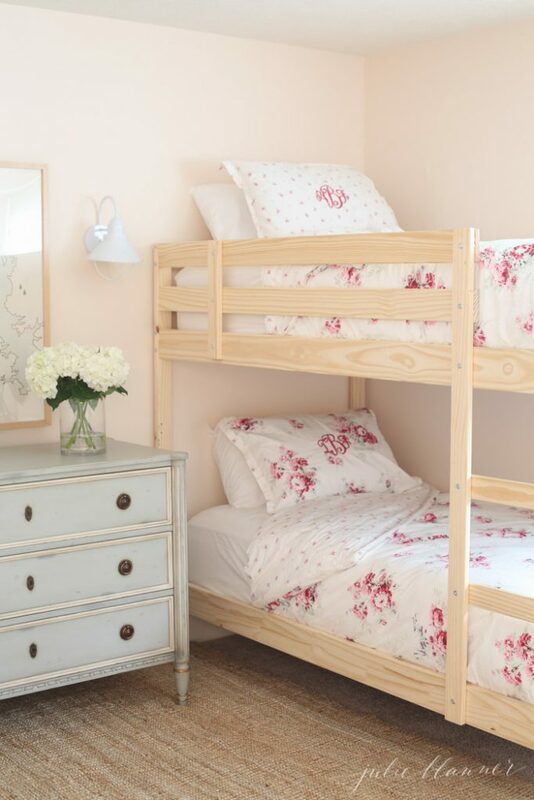 Julie of her self titled blog Julie Blanner linked up a beautiful summer tour of her lake cottage. 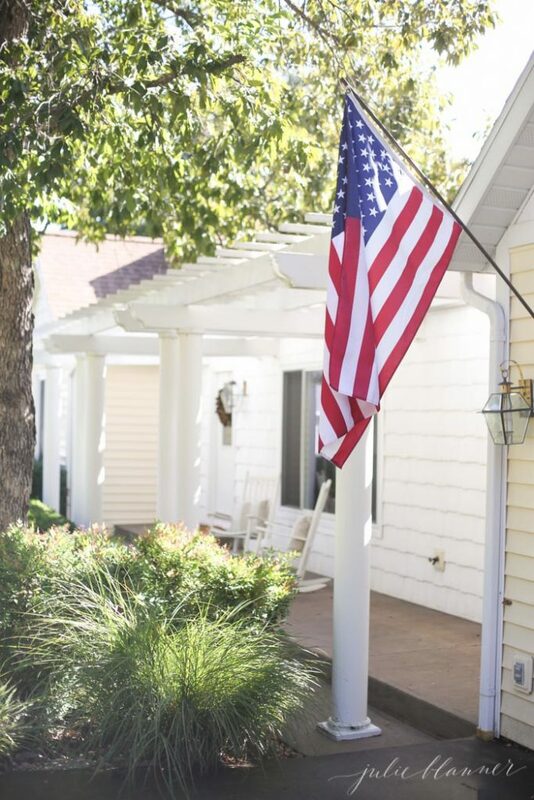 It is so lovely in it's simplicity. 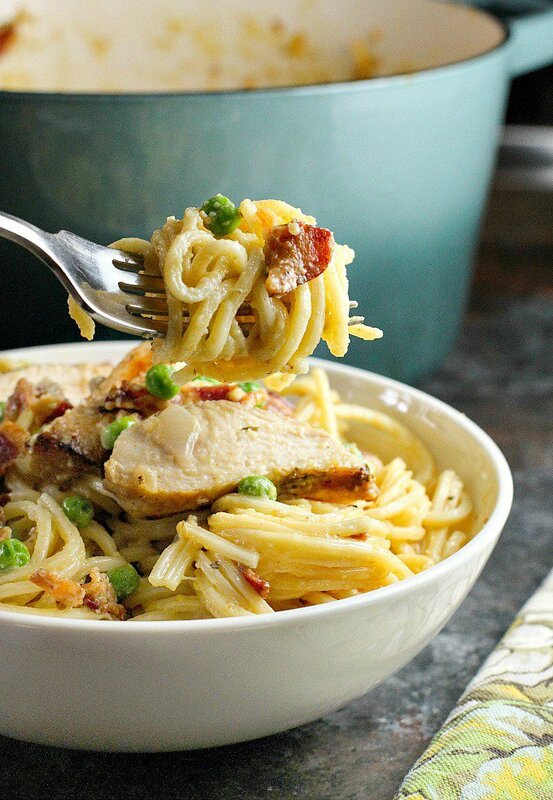 And finally, the recipe that I am going to have to try is this delicious looking chicken carbonara pasta from Michelle, who pens the blog A Dish of Daily Life. 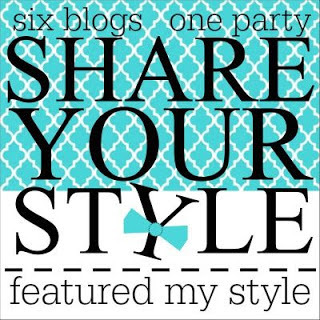 Share Your Style somewhere on your blog or in the post you link up. Also be sure to visit other party goers for inspiration and to make some new bloggy friends. 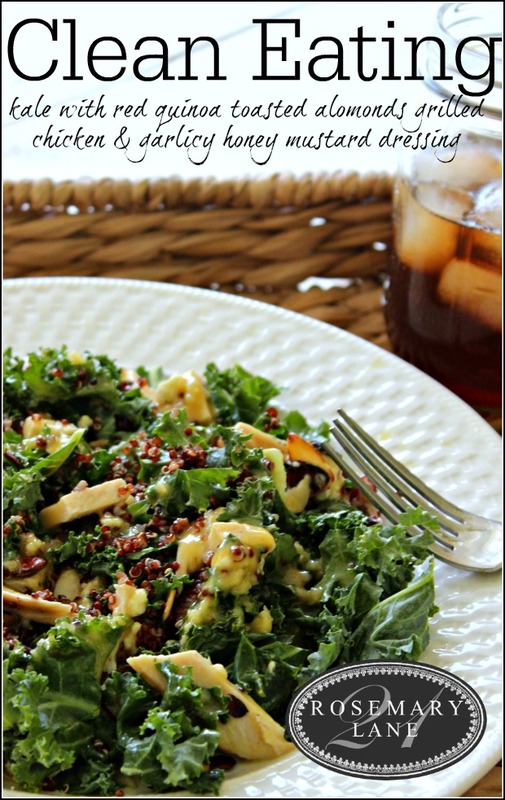 It has been some time since I have posted a recipe here at 21 Rosemary Lane but this kale salad is one that I just had to share. Recently my dear friend Donna, who incidentally has to be the smartest woman I know, introduced me to the idea of clean eating. What does it mean to eat clean? Well in nutshell it means to eat foods naturally occurring in nature. So you know that big hunk of Velveeta cheese and package of hot dogs in your frig... they are not in the clean eating plan. Processed foods like hot dogs typically contain extra added ingredients to enhance flavor, prevent bacterial growth and help with the browning process of the meat. Many are loaded with both salt and sugar, not good if you are trying to maintain a healthy weight. So what can you eat when you eat clean? 1) Load up on fresh fruits and vegetables that have not been exposed to pesticides and other chemicals. This means maybe paying a little extra in your grocery store for organic veggies. Now that we are moving into the summer months it is best to buy from your local farmer's market, or better yet, if possible plant your own garden! 2) Incorporate a variety of whole grains into your diet. This includes whole wheat, whole oats, whole grain barley, bulgur, buckwheat and quinoa. These are all loaded with protein and fiber. Skip the white rices and pastas which had any inherited nutritional value stripped from them during processing. 3) Read packaging labels! It may take you a little longer in the grocery store but it is well worth it. My rule is if any food label contains more than 5 ingredients, of which I know what they all are, it's a keeper! However that said if the list of ingredients is longer than 5 and I still know what everything is on the list, I would consider it clean. As soon as I start reading words like maltodextrin or disodium guanlate that poduct goes back on the shelf! 4) Do your best to familiarized yourself with package labels that say Organic, Free-Range, Cage-Free, Grass Fed, Natural and well you get the picture. Not every label can be taken verbatim. For example the Grass-Fed label alone just means that at some point in the animal's life it ate grass, it doesn't necessarily mean grass was the only food source. According to Prevention Guide you need to look for products that where certified by the Grassfed Association or buy your meats from local producer who can qualify how the animals are raised. This gives you just a little idea of what it means to adopt a clean way of eating and I assure you that it will not all happen at once with my family. We still have our much loved Stop Top stuffing in the pantry and I know trying to wean my two kids off of soda will prove to be a difficult challenge. But moving in the direction of clean eating will overall be worth the little battles I'll have to endure. It also means that mommy is going to have to get more creative with her cooking and meal planning. 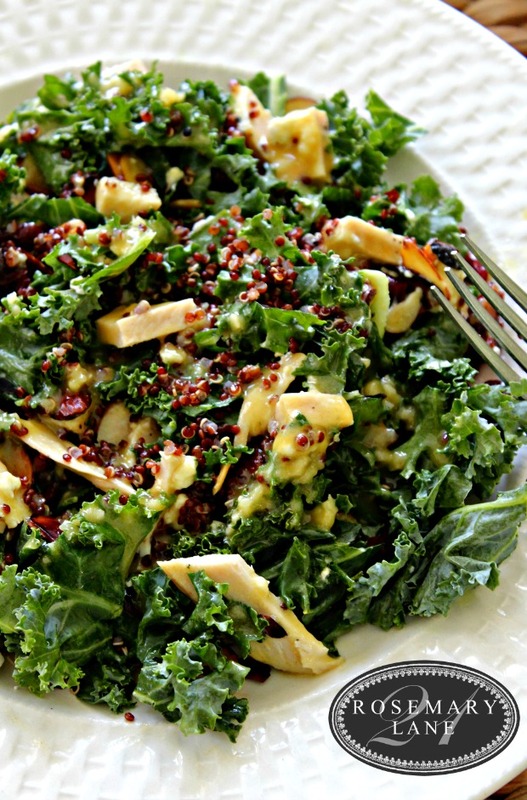 That is where this kale salad comes in. I found the recipe in the current issue of Prevention Guide titled Eat Clean. I modified it a bit based on available ingredients and my 14 year old daughter Grace flipped for it! Look at all that bright beautiful color...you know it has to be good and good for you! Make the quinoa according to the package directions and let cool. Prepare the dressing in a small bowl. Assemble the salad's dry ingredient including the cooled quinoa and chicken, then drizzle on the dressing and toss to coat. And have a fabulous weekend!!! 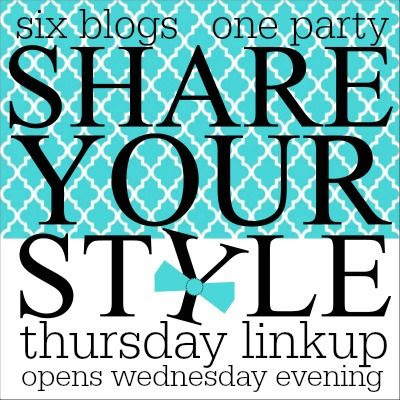 WELCOME.....we are thrilled to have you here this evening at our 117th Share Your Style party. Your inspiration each week is amazing! I am Lynn, of The Vintage Nest blog, and will be your host. Please remember, engage and enjoy the party.......visit others, make new friends and enjoy the inspiration. You are on 6 blogs each week and will get lots of exposure. And please add a link back to the party post ~ Many thanks. 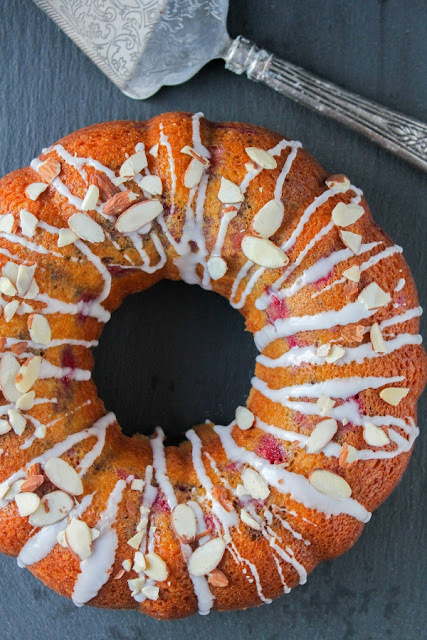 It takes me hours and hours to put this party post together because of all of you and your wonderful recipes, projects, how to's, and personal ideas. But here are some of my favorites. Like the Happy Housie, I love topiaries too but they can be quite pricey. She shares an excellent tutorial on how to make one. 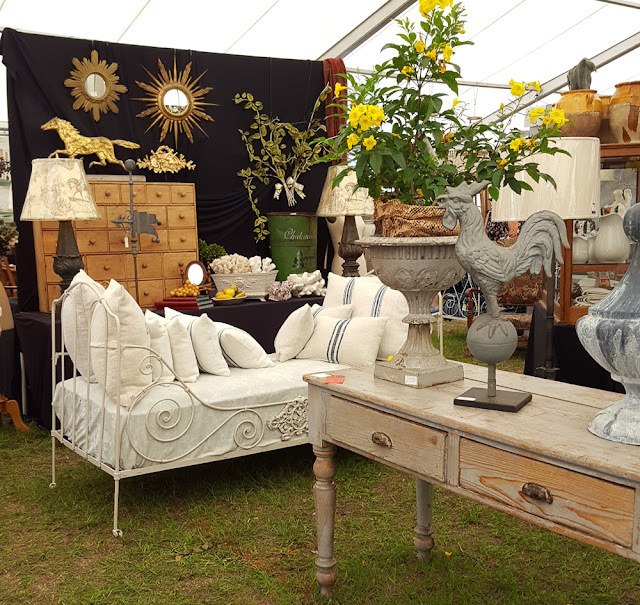 Penny's Treasures shows us her "junk garden"......definitely inspiring treasures for your garden that cost hardly anything. It's so beautiful Penny! Angie of Knick of Time has some wonderful stencils for your own farmhouse sign making. I am in the process of making one for my booth right now and it's so much fun. 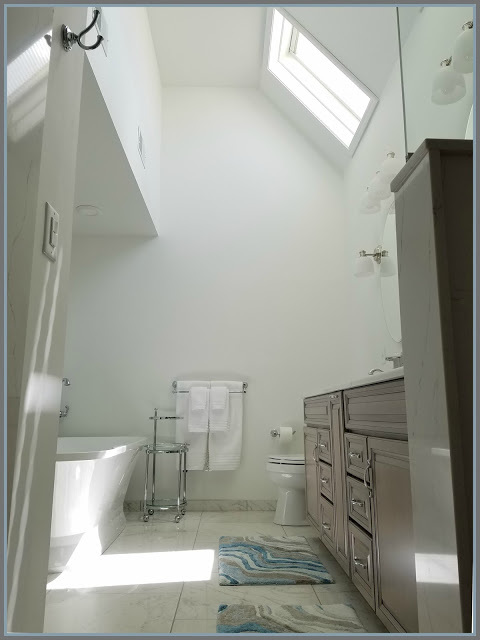 I love how her's is so simple and clean looking. Soon after Mother's Day, we will be heading to the beach for a few days. Everyone knows the beach is my happy place. :) and Frog Prince Paperie really caught my happy with her Beach/Seaside themed party. So many adorable ideas in this post.....I just kept staring and staring at the gorgeous photos. 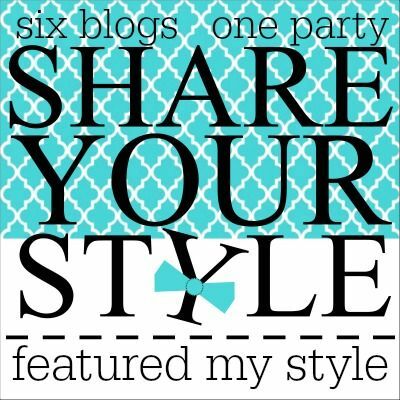 If you were featured this week, please proudly post this button on your blog. Now on to this week's sign up. 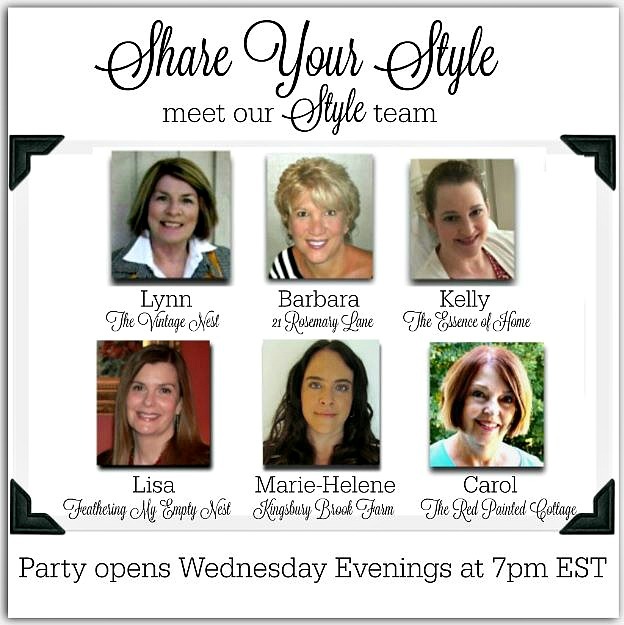 Hi everyone, I am Lisa from Feathering My Empty Nest, and I have the pleasure of being your host this evening for our 116th Share Your Style Party. Remember that when you link up your post, it will be seen on all six blogs! 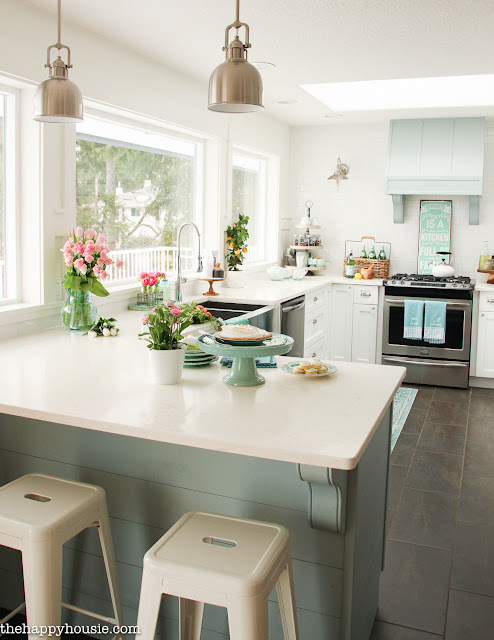 Being a color girl myself, I was immediately drawn to the bright pops of aqua and pink that Krista from The Happy Housie showcased in her stunning Coastal Cottage Style Kitchen. 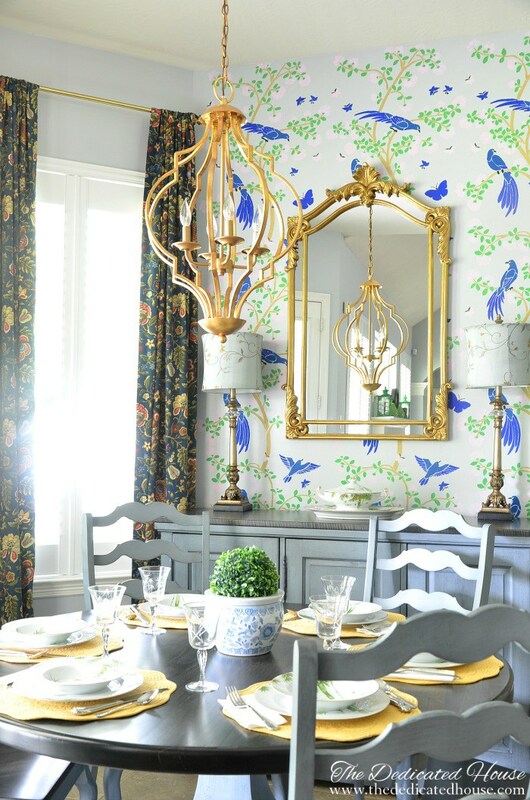 The beautiful way she styled her kitchen for the photos is so inviting that it makes you want to stop by just hang out on one of the counter stools and have a piece of her luscious lemon meringue pie. Because the weather was so chilly and dreary last week, Kit from The Kittchen's spicy recipe for Chicken Tortilla Soup particularly appealed to me. 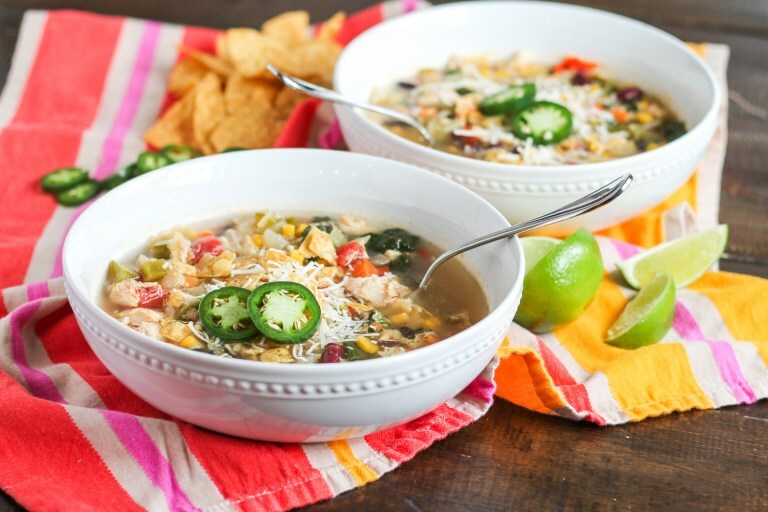 It is a substantial soup with chicken, beans, and corn and I love her idea of serving it with a squeeze of lime-maybe for Cinco di Mayo. Easter is over, but the joyfulness of Nancy's pink bunny-filled children's table from Etched In Colloquy just made me smile. 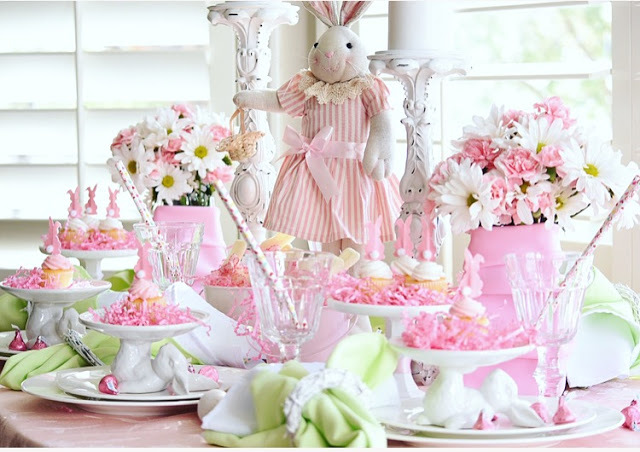 I love all the little details, from the mini cupcakes with bunny toppers to her charming bunny pedestal plates. Any kid or kid-at-heart would be enchanted! 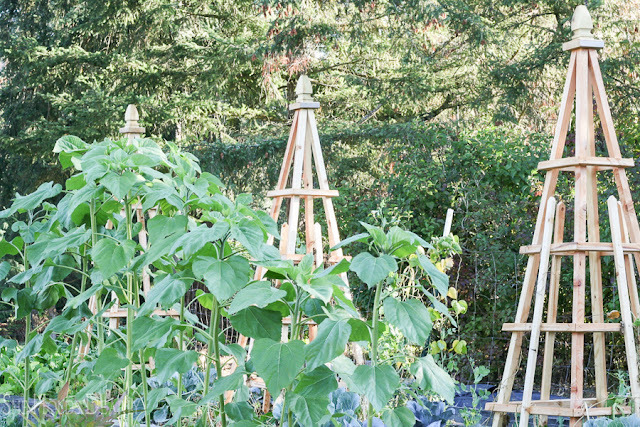 Lastly, the silver lining of all this rain is that it will have the benefit of making my garden grow, so I loved the DIY Tutorial Sarah from She Holds Dearly on how to make French Tuteurs. They are gorgeous architectural structures that you can build and install in your garden to serve as a trellis for vining plants.